Previously I've tried cutting strawberry runners and then planting them alone, with no success. Here's a tip I heard recently that I am in the process of trying. 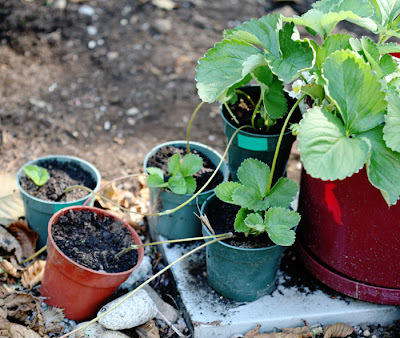 Before cutting the runners off the mother plant, secure them in pots and let them establish themselves in the soil, while they're still attached. Only then can you cut them free and transplant them elsewhere.